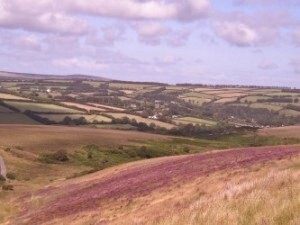 Westerclose House Cottages are situated in the very heart of Exmoor National Park. We are in a glorious elevated position on the edge of the unspoilt village of Withypool, with wonderful views over the wooded River Barle valley and surrounding moorland. We have four comfortable holiday cottages and an apartment in a peaceful courtyard setting, sleeping between 2 and 6 people. The cottages all have private gardens and there is plenty of parking. We provide everything you need for a well-deserved holiday, whether you want to relax or have an action packed Exmoor break! We warmly welcome individuals and families, dogs, small pets and horses. There are numerous walks and cycle rides to enjoy directly from your accommodation, with the Two Moors Way passing within 100 yards. 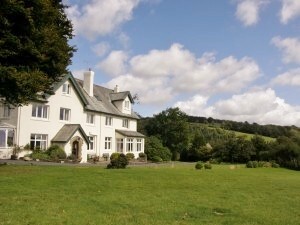 Tarr Steps and Landacre Bridge are within easy walking/cycling distance of Westerclose. We have secure storage for bikes on site. We are only a 5 minute stroll from the excellent Royal Oak pub, the well stocked village shop, lovely tea rooms and historic St Andrew’s Church. Westerclose offers dog-friendly accommodation and is an ideal base for walking, riding, cycling and fishing. The fabulous North Devon coastline with its wonderful beaches is only 30 minutes drive from Withypool and the lovely market towns of Dunster, Dulverton and South Molton have wonderful local produce and crafts on offer. If you like culture, there are beautiful historic houses and gardens to visit within a short drive of Withypool – take a look at our Exploring Exmoor page for more ideas. Or why not come to Westerclose and just unwind in a truly beautiful and peaceful location within the Exmoor National Park.